Now that I'm in my final month of pregnancy (CRAZY!!) the realization that I'm actually going to be responsible for a living, breathing mini-me has finally hit me over the head like a ton of bricks. Needless to say, I've been trying to get my hands on any baby related items I still need. I'm also attempting to sear an astronomical amount of tips and advice into my tiny human brain. Pinterest is a God-send that has made organizing the oodles of information I need to soak up fun and simple. I know I can breathe easy since I can always look back and refer to certain pins. I've found some amazing DIY's, ideas and organizational tips ranging from how to know if you're actually going into labor all the way to how to swaddle and feed your baby. 1. This Last Month of Pregnancy Checklist has some great reminders and tips before you go into the delivery room. It covers everything from the importance of pampering yourself pre-baby to errands and helpful things to sign up for. 2. I have already started to prepare for my hospital visit, but this Hospital Bag Checklist has some great and important additions that I never even thought about! 3. Since this is my first child, I pretty much have zero idea of what to expect going into labor. I read this article about How to Tell if it's Labor and Other Tips to keep myself in-the-know and prepare myself so I don't freak out. 4. Same as above, I have no clue what to expect from my body after giving birth so this article is definitely an eye opener. 5. These 8 Must-Haves to Survive Your Newborn's First Month will definitely come in handy very soon. I love the idea for white noise to mimic the sounds of the womb and soothe the baby. I also have my eye on the book she talks about--everyone says it's genius! 6. 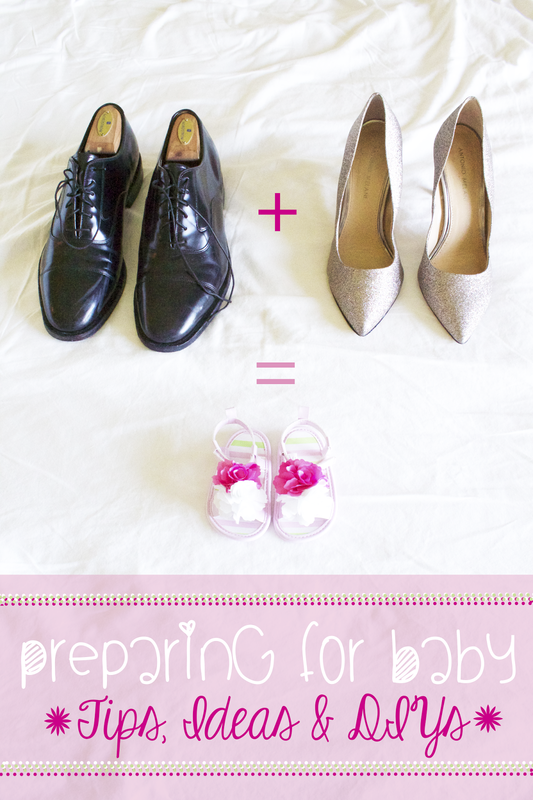 Ever since becoming a wife and mommy-to-be, I have become especially fond of anything to do with cute organizing methods. 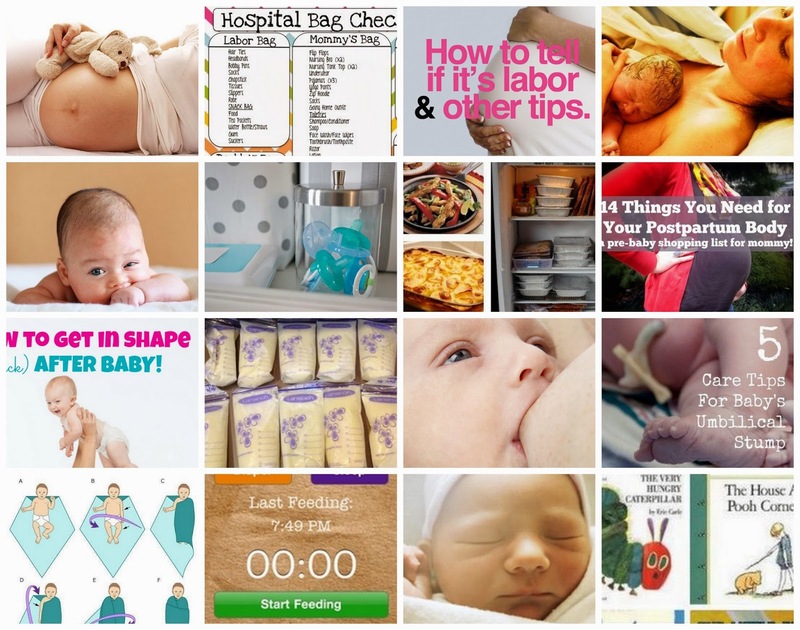 I love these 10 Ways to Quickly Get Organized with Baby. It shows you several different ways to neatly and prettily organize baby's clothes, accessories and gadgets. 7. I have a feeling that planning some pre-frozen dinner recipes before baby gets here will be a VERY good idea. Sleepless nights, adjusting to a new life with a baby, and tons of family shenanigans will probably give me little to no time to prepare and cook meals. Having them pre-planned and easy to cook right away will save me a lot of hassle in the first few weeks! 8. Although this list of 14 Things You Need for Your Postpartum Body bums me out (and scares me a little to be honest!) I know that post-birth, I will appreciate being prepared and having the products and items I need for a healthy healing process and comfortable transition. 10. I've never had the experience of milking myself like a cow so I'm guessing it will be good to know how long frozen breast milk will last in the fridge.11. This Ultimate Guide to Feeding Baby has much-needed information whether you are breast feeding or bottle feeding with formula. It covers everything from latching to best feeding positions and tips to deal with possible challenges.12. When the baby first comes home from the hospital, it will still have a little bit of its umbilical cord hanging on for dear life. I'm glad to have found these Care Tips for Baby's Umbilical Stump so that I know how to prevent infection and make her as comfortable as possible.13. A full-proof diagram for dummies like me who have no clue how to swaddle a baby.14. Oh, I've just been loving helpful mommy apps. I have a sneaking suspicion that I will fall in love with this app that keeps track of feeding, diaper changes and sleep times. 15. I have heard from veteran mommies that getting your baby on a sleep schedule is integral for the sanities of everyone in the household. I have this post on Newborn Sleep Tips bookmarked and ready for action. 16. I absolutely loved to read as a child and I learned a lot from all the wonderful characters I fell in love with. I hope that all of my favorites will be hers as well! I can't wait to start a little library in our home consisting of some of these 100 Children's Books to Read in a Lifetime. For more great pins I've found concerning all things baby, take a gander at my Pinterest board "Things for Baby." I post updates about all things to do with this blog on my board, "The Beauty Book" and a bunch of other fun things on my overall Pinterest profile. Check out this blog post of mine for some must-have apps that will save you time and money as a mommy!